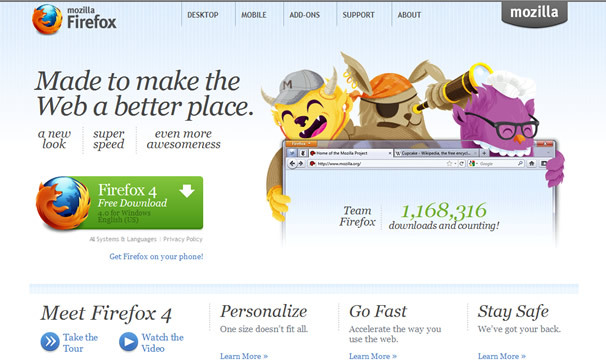 I don’t know who those monsters are, but they look pretty rad to me, and so does the newly-released Firefox 4 browser. Have you upgraded yet? Now with “even more awesomness”! say that I have truly enjoyed browsing your blog posts. In any case I’ll be subscribing to your feed and I hope you write again soon! Select whether you wish to limit the location to several countries, states/provinces, or postal/zip codes.